Home Costs > How Much Does a Electrical Inspection Cost? How Much Does a Electrical Inspection Cost? A home electrical inspection is a process of checking the home’s electrical system to ensure that it is in compliance with the most up to date electrical codes. The electrical system of the home is a necessity, as you know, but it can also cause serious problems if everything isn’t up to par. Most fires that start in the home are often from some sort of electrical malfunction, and a home electrical inspection is the best way to ensure that your home and family are safe from these types of potential problems. One of the main things that electrical inspectors will look for during these inspections will be a faulty and/or exposed wires that could potentially cause problems. They will also look at the fuses or breakers to make sure that they are performing up to code and that none are overloaded. How much does an electrical inspection cost? On average, plan on budgeting around $125 to as much as $400 for an electrical inspection. The costs will really depend on where you live, which contractor you choose and the size of your home. Since all jobs will be considered to be quite unique, consider getting multiple quotes from licensed and reputable contractors for free in your area by using HomeAdvisor.com. 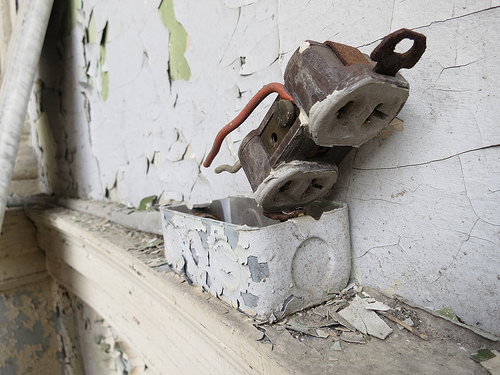 AAA Electrical Services, Inc., located in New Haven, Connecticut, says their residential electrical inspections start at $199. This quote, according to the website, would be good for a 1,300 square foot home with no detached buildings/garages. During an electrical inspection, the inspector will pay close attention to your entire electrical system, electrical wires, systems, appliances and any components to ensure they are meeting legal safety standards. In the United States, all electricians will abide by the National Electrical Code (NEC) when examining the home. Upon completion of the inspection, the inspector will provide you with a detailed checklist, showing you what needs to be addressed, often in attention order and will provide photo evidence to show you exactly what they are referencing to. These reports will often include recommendations for improvements as well. A good inspector will recognize common electrical mistakes, spot any outdated wiring that may need to be upgraded, identify degraded wiring, spot oversized fuses which can lead to a fire, help recommend making your home safer, recommend energy saving ideas and even meet risk assessment inspections for insurance purposes. They will also verify all light bulb wattages, inspect switch and wall outlet operation, check for shock hazards, verify AFCIs, check all security lighting, confirm the grounding system, validate surge protection, test smoke/carbon monoxide detectors, examine the electrical panel and inspect all outdoor systems. There’s a good chance your report will have problems that need to be addressed and/or recommendations that you may want to implement. No matter the case, if you plan on addressing these issues, this will be another cost to consider. An electrical inspection is ideal for those who are purchasing a new home, for a home older than 40 to 50 years, if you plan on adding a new appliance and/or your home is undergoing a major renovation. Always talk with three to five inspectors in your area before deciding on one. While you don’t want to focus on the price, be sure to ask about their licensing, experience and always ask for references. The more professionals you talk to, the more comfortable you can be with your decision.